Feiwel & Friends, 9780312532901, 256pp. Here is third grade in all its complicated glory—the friendships, the fears, and the advanced math. 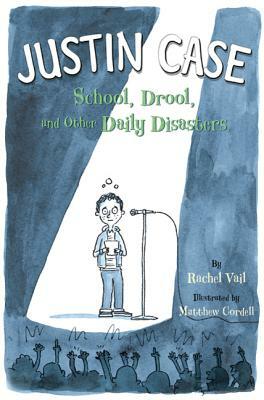 Acclaimed author Rachel Vail captures third grade with a perfect pitch, and Caldecott award-winning illustrator Matthew Cordell's line art is both humorous and touching. As Justin bravely tries to step out of his shell, he will step into readers' hearts.